Pleased to share Tao Hui’s group exhibition ‘Force as Fulcrum’. Curated by Bao Dong, ‘Force as Fulcrum’ is an inaugural exhibition of New Century Art Foundation, Beijing, comprising of selected works from the collection of Wang Bing and Xue Bing, co-founders of NCAF. 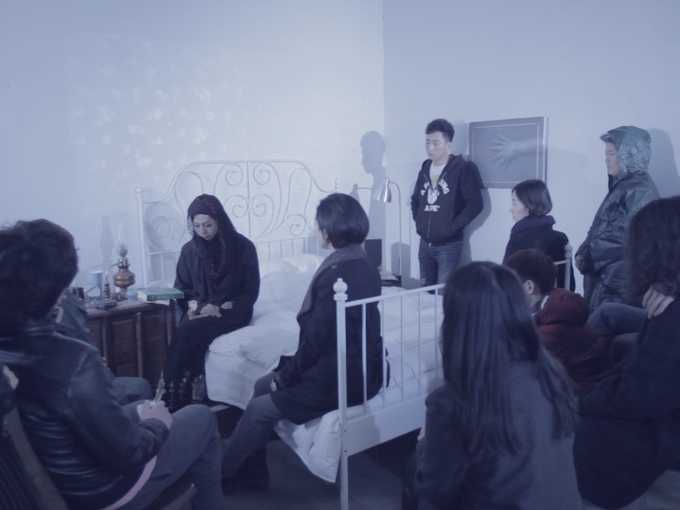 On view is Tao Hui’s, ‘The Dusk of Teheran’ (2014), a single channel video in which is seen an Iranian girl reenacting the late Hong Kong singer, Anita Mui’s speech to her fans about her freedom in pursuing love and marriage, which is in stark contrast to that of Iran’s framework of marriage law. In this work Tao Hui brings out, within a particular narrative frame, the differences and similarities between people from different countries and communities.